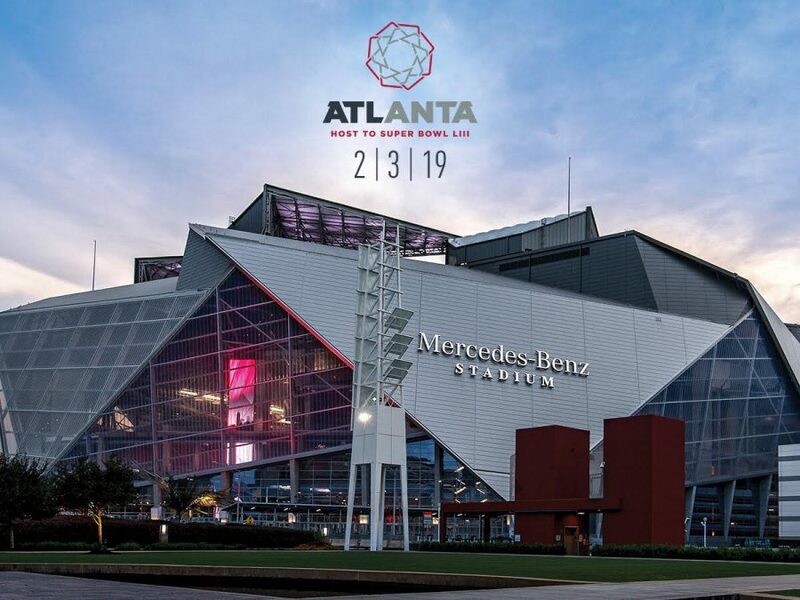 Super Bowl LIII will take place right here in Atlanta, Georgia at Mercedes Benz Stadium on Sunday, Feb. 3. The game will feature the NFC champion against the AFC Champion and will kick off at approximately 6:30 PM ET. Of course, the Super Bowl is expected to provide a great boost for the Atlanta economy, as hundreds of thousands of fans will travel in from across the country to see the big game, in the process staying in local hotels and eating at local restaurants. An event as big as the Super Bowl generates many other entertainment opportunities for the city in order to accommodate the large crowds that will flood into the city. Starting on Jan. 31 and culminating on Feb. 2, the Bud Light Super Bowl Music Festival will occur at State Farm Arena, which is just down the road from Mercedes Benz Stadium. The festival will include acts such as Bruno Mars, Cardi B, and Post Malone. There will also be a week full of fan activities taking place in Centennial Olympic park during the week preceding the big game. Musical guests will also be present at these festivities. Of course, the game itself will also feature some musical entertainment at halftime. Pop group Maroon 5 as well as rapper/singer Travis Scott have both been announced as musical guests for the big game, which will likely draw even more fans to come out to Mercedes Benz that night to see their favorite artists perform. Over 10,000 volunteers from both Atlanta and around the world have decided to help out in ensuring safety and organization for Super Bowl week. Volunteers are currently going through training, according to WSBTV, and are expected to help out in areas such as ushering guests, handing out flyers, etc. While there is certainly a lot of pressure in hosting a Super Bowl week, Atlanta seems to be up to the challenge.